Berovo is accessible through Veles, Stip, Kocani and Vinica. On this route, you enter only the city of Vinica, the rest of the cities are bypassed. After passing the Kocani rice fields, you are welcomed with mountains, vegetation and pine forest. 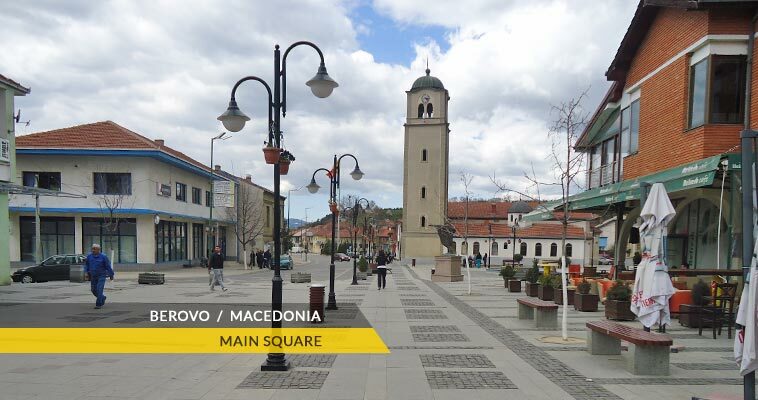 The other way is from Valandovo and Strumica, if you are heading from Greece or Gevgelija. Berovo is small and peaceful, so walking would be the best way to get around. There is no railway line in Berovo. The closest one is in Kocani which is 52 km away. There are (more or less) everyday bus lines heading for Skopje through Delcevo or Vinica every 2-3 hours. However, there is a bus line for Strumica, but on everyday. Berovo is a small town - you can't miss the bus station.